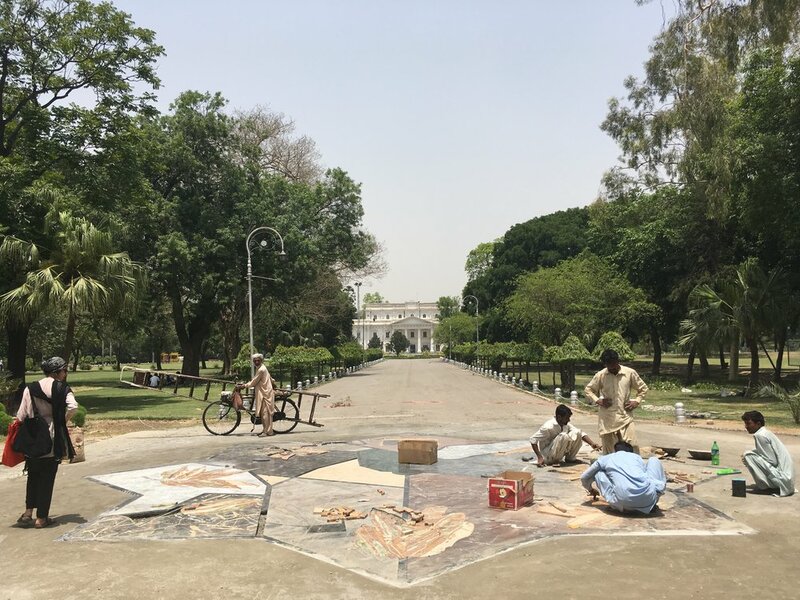 Rooted پیوستہ (Paivasta) is a public realm artwork, made in collaboration with Lahore based artists Unum Babar and Matt Kushan. Lahore and Glasgow are twin cities. The central artwork, taking the form of an Islamic star, acts as a guide to the exploration of the gardens. Seven points of the star lead to seven non-native trees, planted by British colonisers. At each of these trees a marble stool offers a place for rest and contemplation. The artworks were created out of marble and onyx, locally sourced and built on site by local traditional craftsmen over the course of two weeks. 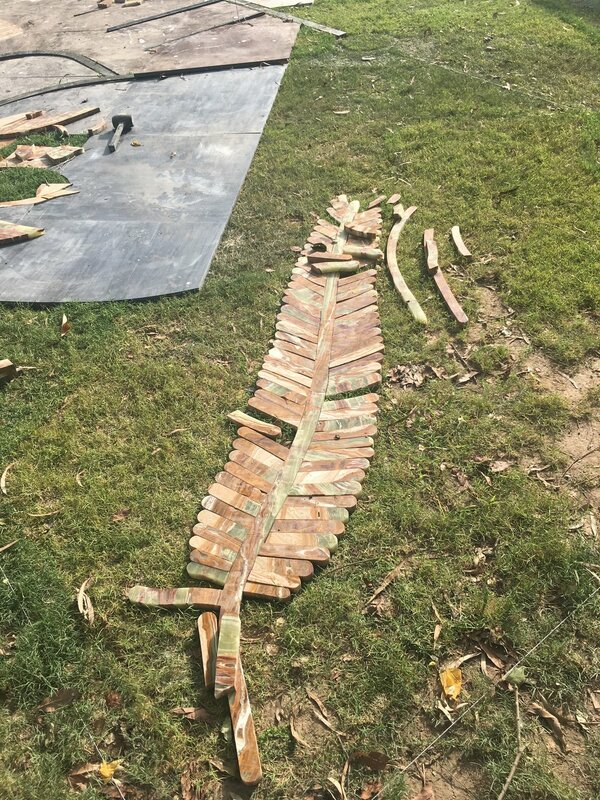 Our intention was to create an artwork that was beyond decorative- to provide a stage for performance, a kind of keystone for gathering - and to create space to reconnect the gardens to its own past. On 27 March 2016, Easter Sunday, a suicide bombing hit the main entrance of Gulshan-e-Iqbal Park - Lahore’s second largest park. People had gathered to celebrate the Christian holiday. At least 75 people were killed and over 340 people were injured. More than ever, the importance of coming together and gathering in public parks become central to the project. We ran block printing workshops at a Christian girls school in the north of the city. 60 children took part, printing banners on fabric from Pakistan and Scotland. These banners would be used to further decorate Bagh-e- Jinnah during the opening of the artwork . Over 500 people came to the opening night on June 3rd. It was an incredible experience.